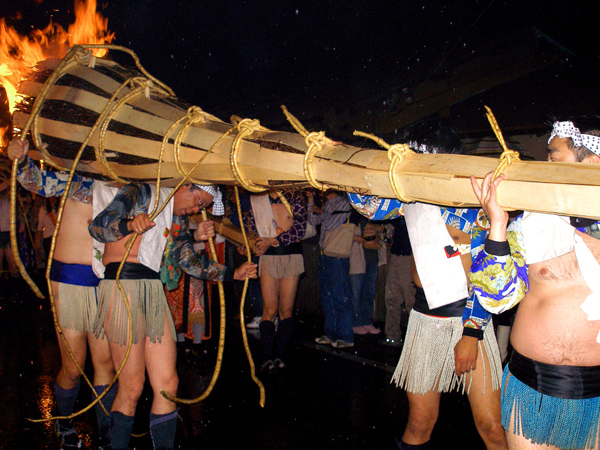 The Kurama-no-Himatsuri is an ancient festival ritual going back to the late 8th century that come rain or starshine (it's always at night) is performed every year on Oct. 22. 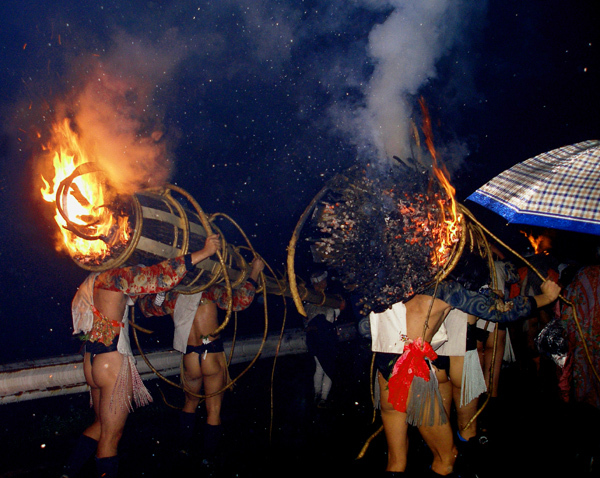 The purpose of the festival is to guide spirits and gods by torchlight along their way through the human world to the spiritual realm. 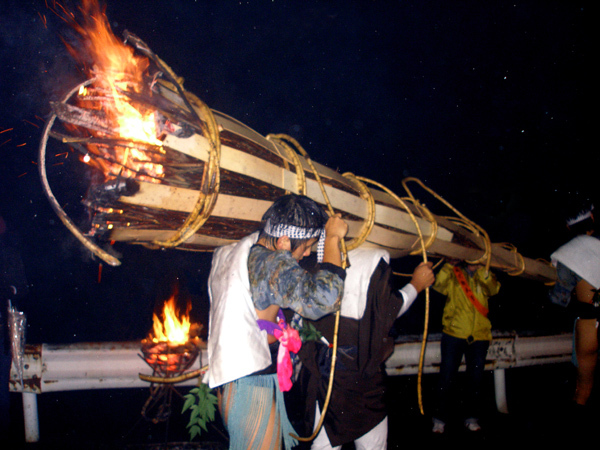 Wayward spirits might remain to cause mischief in our world so the festival served to clear the mountain and the capital below of potentially evil spirits. I almost gave into the suffocating effect of the wet blanket preferring a warm cafe to a cold wet mountain. Fortunately, I was able to cast the blanket off and force myself to make the journey. Not long afterwards, I was quite happy that I had made the effort. Absent were the throngs of visitors that cluttered up the train and mountaintop the last time I had visited. 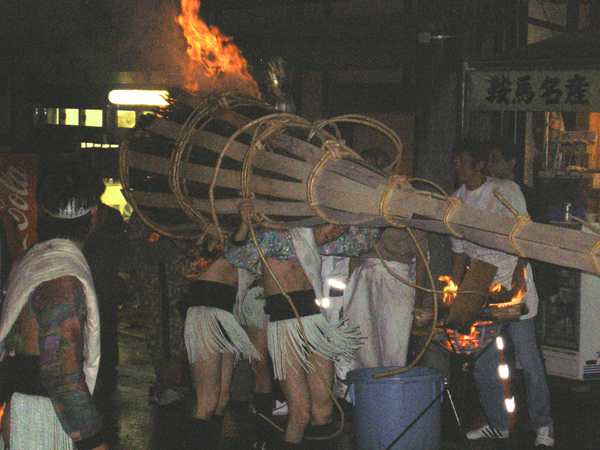 The spirit of the festival, however, was undampened being still "fiery" as ever and this time I could be closer to the action. 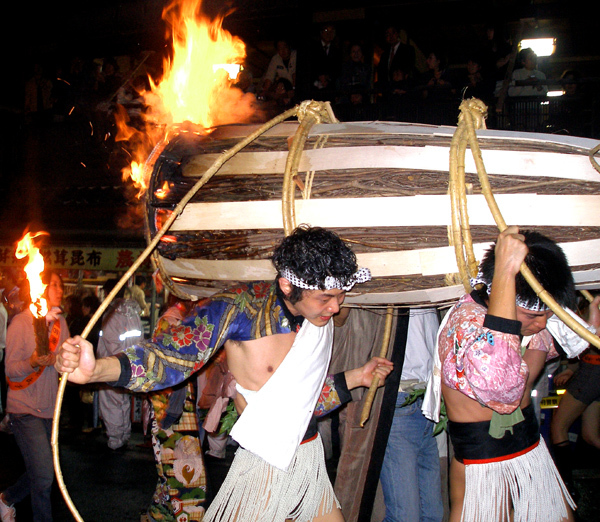 Adding to the fun and the surrealness of it all were the number of attending Tengu - Japanese goblins. 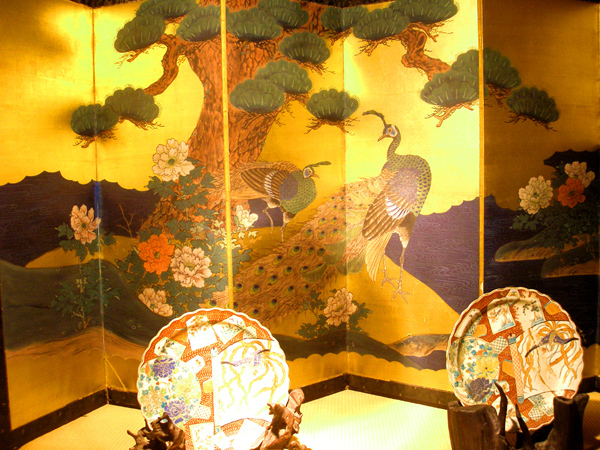 Kurama's famous mythical denizen is the Tengu which come in two shapes - redskinned long nose goblins or winged crow-headed goblins. 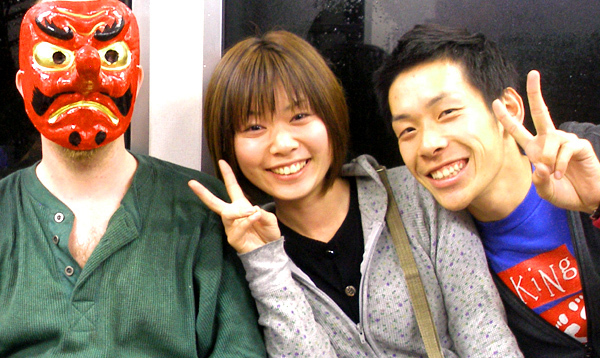 The long-nose goblins make for popular masks and quite a few people were sporting these. 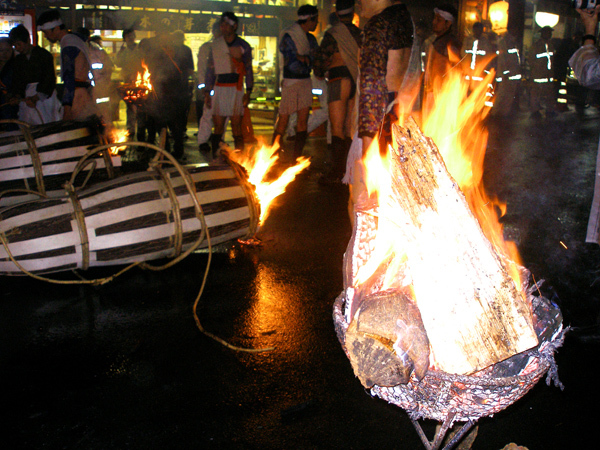 After the torches reached the temple, a large bonfire was constructed. 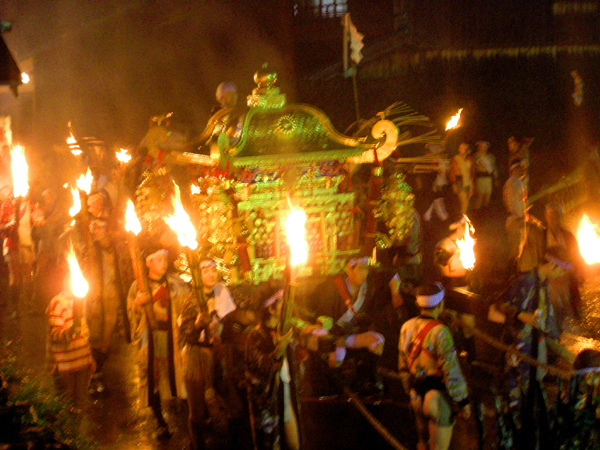 Then two large mikoshi - portable shrines - were brought down the steep path from the temple. On their backs rode two men in samurai armor sans helmet. 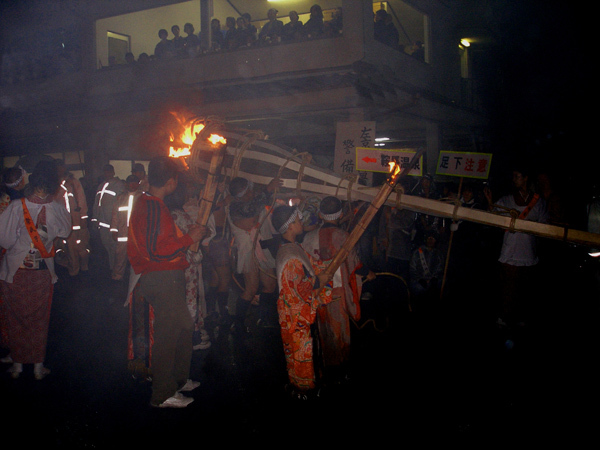 The mikoshi bearers rocked the shrines up and down seemingly trying to knock the fellows off. 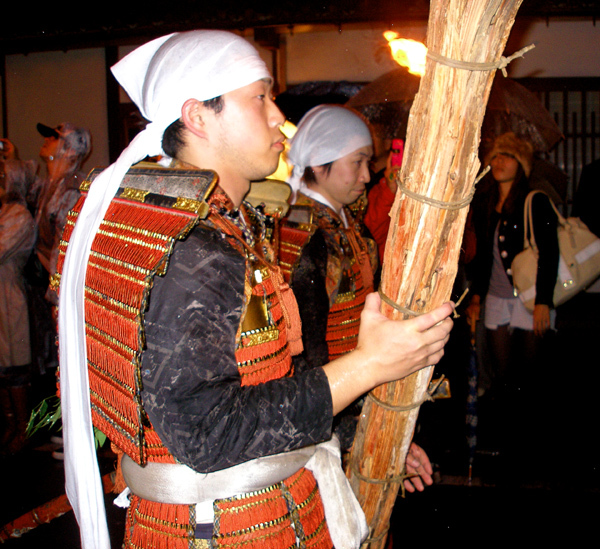 All around them carrying regular-sized torches were men, women, and children singing the festival's age-old chant of "sei-rei, sei-ryo!" which means something like "festival, good festival!"